Orangeries are the perfect middle-ground between conservatories and standard home extensions. Enjoy all the privacy of pillars and brick-work columns in combination with the freedom of double glazing. 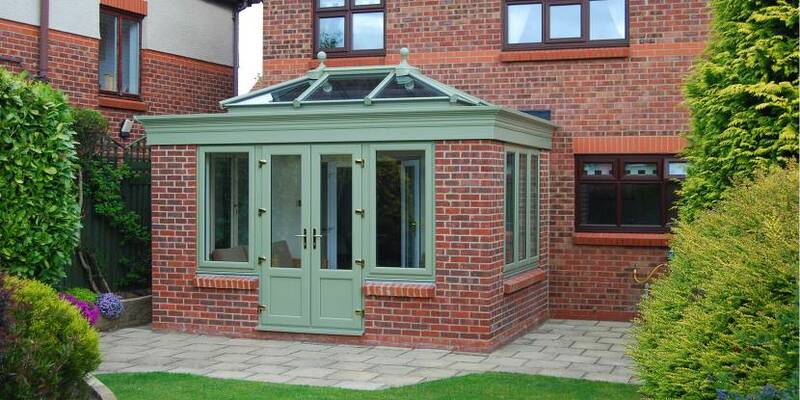 We’ve been helping customers find the perfect orangeries for over 40 years. Starglaze are one of Newark’s oldest installers of premium double glazing, and as such we have a wealth of experience and industry knowledge when it comes to modern double glazing. Combine our windows, doors and roofs with our exquisite orangery designs. By making use of the renowned Sarnafil roofing system rather than the more costly lead alternatives, you can benefit from an affordably priced orangery that doesn’t falter when it comes to quality. This profile is also just one example of the many market-leading brands we work with across every range we offer here at Starglaze. Like any extensions, orangeries offer a unique opportunity to expand your home. There are a number of obvious benefits to this. You can increase the value of your property so that you benefit when you come to sell in the future. You can add extra space to free up other rooms. However there are many other reasons that you may not have noticed. As a modern extension, our orangeries are easily some of the most thermally efficient home improvements around. Crafted from our fantastic double glazing and bolstered by cavity insulated walls, this type of extension can even outclass conservatories when it comes to heat retention. The glass ceiling design also allows for the increased input of natural light, which makes it even easier to warm your property. The windows and doors included in our orangeries are protected by the latest security methods. Multi-point locking mechanisms keep intruders out, and anti-lift mechanics stop unwanted persons from physically displacing the profiles. Furthermore, the added brickwork and solid columns present in orangeries make less room for intrusion. This makes modern orangeries a highly secure home improvement. The same brickwork and columns that make your orangery so warm and secure are also one of the defining characteristics that separate it from conservatories and home extensions. The combination of double glazing and brickwork allow you to enjoy the benefit of increased natural light without compromising on privacy. The solid columns allow orangeries a homelier feel than your average conservatory, making them an incredibly comfortable space. Like all of our double glazing products, our orangeries are highly customisable and can be tailored to suit almost any existing property style. Whether you live in a traditional home or a more modern property, our orangeries will blend in perfectly with the surrounding brickwork. It doesn’t matter if you’re looking for a new dining area or a new living space; Starglaze orangeries can offer you a luxury room no matter the season. We love helping our customers find the product that’s right for them, and we strive to constantly update our business in order to keep up with the latest industry regulations. As a FENSA accredited installer, we regularly meet and surpass the strictest quality requirements. We are also a proud member of the Glass and Glazing Federation, showcasing that we’re recognised by giants within the fenestration industry. We are also a Which? Trusted Trader, which shows that we have devoted ourselves to providing a high-quality service and premium profiles. Therefore, when you choose Starglaze orangeries you’re not getting any old extension; you’re getting one of the best extensions in the business. There are also several other benefits to working with a Trusted Trader. You are guaranteed a respect for you and your property at all times, prices that are clearly outlined from the start, teams that are happy to work with you and much more. Starglaze are one of Newark’s most experienced installers of double glazing, and as such our orangeries offer numerous beneficial features. Our teams are fast, efficient and properly qualified, so if you’re looking for a professional installation at an incredible price then look no further. Give us a call on 01522 512020 to get through to one of the Starglaze support team. Feel free to ask any questions you have regarding our orangeries or other double glazing products. You can also submit your questions via our online contact form, or get a bespoke quotation with our online quoting engine which you can also find below.